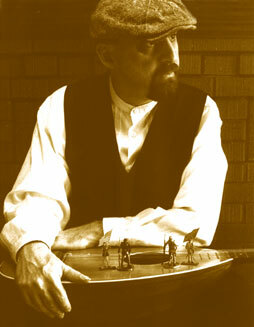 Michael's most recent CD "The Grand Review" features all originally composed songs inspired by the American Civil War. The website has just been updated and includes a special page outlining The Grand Review. Go there for a photo gallery and video clip. It's my pleasure to announce that michaelbirthelmer.com has been launched and is available to the public. More sections and features will be added soon. Visit the contact section to get in touch with Michael. email webmaster@michaelbirthelmer.com if you're having any problems with/have suggestions for the website.